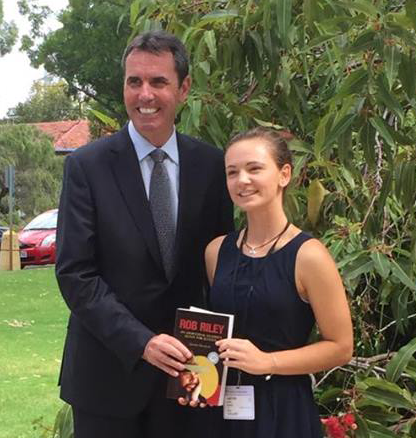 Congratulations to Sarah Callow who has achieved the top score for government school Aboriginal students in ATAR. Sarah will be awarded the Rob Riley Memorial Prize at a ceremony in Perth. The Rob Riley Memorial Prize is awarded to the leading Aboriginal Year 12 WACE student and the leading Aboriginal VET student in public schools. The prize is valued at $5000. Sarah was supported by the Follow the Dream program at Esperance SHS.